Package My Passion | What Is Killing Your Ideas? What Is Killing Your Ideas? 29 Nov What Is Killing Your Ideas? I was pleasantly surprised by the responses I got from a Facebook status update I posted on my wall recently. Quite a number of people sent messages to my inbox to discuss how they will like to package their passion despite the unrefined idea they have in their hands. I love it when people take the bull by the horn and take that bold step to be counted. There is a common denominator with many of the exploration sessions I love to conduct. It is the mental deception called Analysis Paralysis. Check out this YouTube Video where I talk about it in detail. This malady is known to kill so many ideas and deny us the opportunity to maximise our talents. Are you one of the multi-talented people who suffer from this sometimes? In this blog post, I will like to address this problem and how you can kill it for good. I guess it time for us to work our way out of that idea-killing maze. One of the key tools that will help you get out of analysis paralysis (we’ll call it AP, shall we) is to start with the simpler tasks. For example, I wanted to post something on my Facebook wall to inspire people to package their passion and make a difference. I almost got side-tracked by analysis paralysis. Telling myself, I need a better background; maybe I should use another photo. This is how many of us do not allow our ideas to see the light of day – over analysing what is good enough to go. The quote ‘if you don’t start, you can’t get better’ began to haunt me afterwards. Therefore, I dug myself out of the AP hole and posted my inspirational message, which got so many great responses and requests for exploration sessions. Though this was a simple post on social media, we treat the big things in our lives the same way. You need to start believing in the amazing gifts and talents on the inside of you. You can’t seek validation from external resources, they are only there to validate what you already know and believe. Look at it this way, if you would have no use for your talent, why would you have it? Why do you think of computers, food ingredients, hair accessories, compliance, legal matters or whatever you think about and I don’t? I will tell you why, because your passion chose you knowing you are capable of maximising its use. Maybe you want to package your passion to set up a business/social enterprise on the side while you maintain your job, or you want to set your goal in motion to be self-employed in two years’ time. Could you be ready for a new product or service injection in your business? Stepping out of a comfort zone is daunting but needful – well if you want to play out your significance in this lifetime. So think of just one simple task that can contribute to your overall goal, but never got round to it because of analysis paralysis. Maybe you have always wanted to start a blog to collate your thoughts and share with the virtual world. Now that dream is buried under the pile called ‘life’. Maybe you want to start considering how to set up your own consultancy using the skills you learnt in your professional world. Start by writing a plan with defined milestones and timescale. Maybe you can sense that your business needs an injection of new products or services, but you think you will not be able to cope with the changes. Well, don’t knock it until you try it. Your competitors are not snoozing so you should keep taking those opportunities. If you are still in doubt, why not make a list of what you will need to grow your business and compare to what you already have. You might be pleasantly surprised by your results. 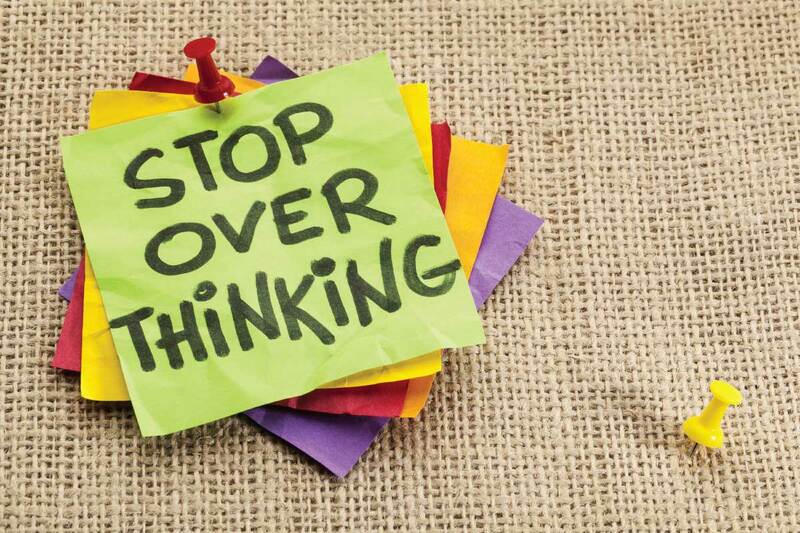 This is one simple task that can cure your analysis paralysis – simple tasks. You can package and amplify your passion, and it all starts with taking one small step after the other. If I can do it, you can do it too. Boot analysis paralysis out of your life by giving yourself a mental positive workout and push yourself towards your big goals. Need help to set the plan in motion? Get in touch with me and book a complimentary exploration session by clicking here. Let me know how you get on with your first simple task on your way to package and amplify your passion.